Flickr has been around a long time, one of the early “web 2.0” companies. But then they were brought by Yahoo and things went quiet. They went from an innovative exciting company leading the way in online photo sharing to stagnating and being overtaken by faster moving younger firms with fresh ideas exploring new opportunities. But yahoo have started to show some care towards Flickr with the release of the new Flickr app (appropriately named version 2.0). I’m confident in saying that if this app had launched 2 years ago, Instagram would have just been another marginal photo app with a specialist following or may have existed at all.. So what does Flickr offer that Instagram doesn’t? Full resolution uploads – Instagram downsizes your photos to a low resolution which limits their use outside the app. If edit photos in-app or use something like Snapseed, Camera+ or Pictureshow, with Flickr you can upload and share a photo at full resolution if you want. Control – instead of having your account public or private with Instagram, you can organise your Flickr followers into groups of contacts, friends or family. 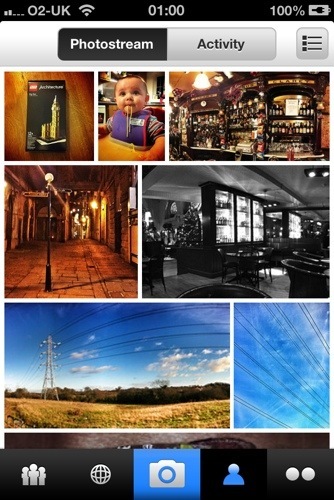 You can make each photo and its location visible to any mix of groups which suits. Community – To share pictures on Instagram with a wider audience you can add tags and usernames. With Flickr you can do the same and also add photos to community groups with shared interests – locations, events, themes, cameras – you name it, there’s probably a group for it. Sizes – Instagram limits you pictures to a square shape, which suits most situations but there’s times when you’ve got a panoramic short or portrait which just doesn’t work. Flickr allows you up upload a photo any shape you like. Facebook – Instagram doesn’t make any money, and Facebook didn’t spend $1,000,000,000 on a product for it to continue losing money. Ways will be found to create an income and the future is unclear for the once independent little startup. Community – Yes Flickr has some great community features, but if you’ve built up hundreds of followers on Instagram it’s quite an ask to leave them. Price – Instagram offers you unlimited storage of your square photos and all it’s features for no fee. Now it’s owned by Facebook you and your photos are the product Facebook will sell to its advertisers in time, but there is no annual bill to use the service without limits. Flickr may be seen as good value to many, but if you don’t have a Pro account the pounds can’t be ignored.